Modern is a fun and unique theme for WordPress that can give your blogging site an appealing and vibrant look. 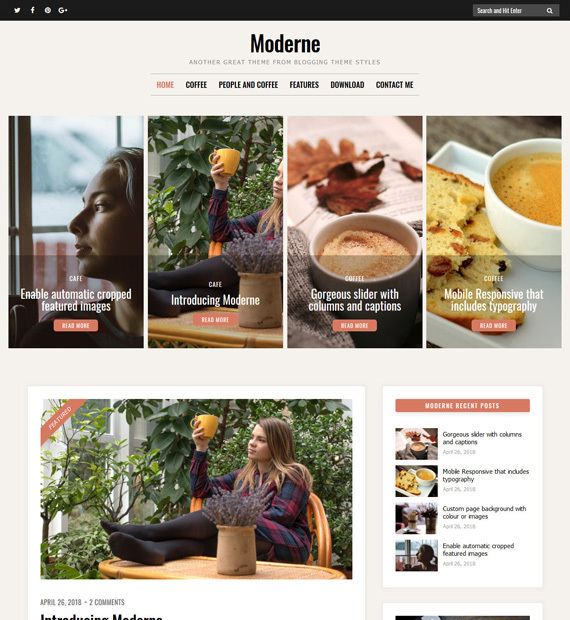 With its many blog layouts, full post layouts, featured post slider, unlimited colors and more, Moderne provides with all the tools needed to build a great website. This theme is translation ready as well as fully responsive so it will work fantastically on a wide range of devices.